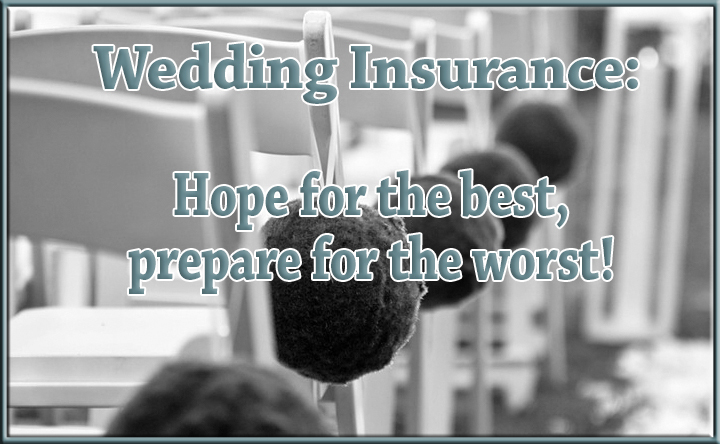 Wedding Insurance: Hope for the best, prepare for the worst! - Scarsdale Premier Insurance Agency | Advocate Brokerage Corp. Wedding Insurance: Hope for the best, prepare for the worst! Wedding Insurance can help you prepare for the big day with less stress. Advocate can help you plan so that if the unexpected happens, you’ll be able to recoup costs and/or cover extra expenses that become necessary due to an unforeseen accident or negligence. What exactly do you need protection from? 44% of all wedding insurance claims are issues with a vendor. If your venue goes out of business leaving you without a place to host your reception, wedding insurance can help so that your deposits are not lost and may even make up the difference if finding a last minute replacement comes with a larger price tag. It can also help if a photographer doesn’t show up on the day of the wedding or if their equipment gets stolen during the reception. If damage occurs during the reception, you could be held liable. Wedding receptions are big happy celebrations held in someone else’s space. They often involve people drinking, which can lead to lapses in judgment and mishaps. Let us help you to be sure you are protected if a wedding guest slips and falls on the dance floor or does damage to the venue itself. Weather can also play a part in wedding woes. If you have planned a destination wedding and severe weather prevents you from travelling, wedding insurance can help. If your venue is on the water where storms have caused damage and the repairs have not been completed as promised, wedding insurance can help you with deposit refunds and the costs involved in securing another venue. As your Advocate, we want to help you find coverage that fits your particular need on your big day. We want to help you prepare for the worst and to do so taking care to prevent overlaps with existing coverage and gaps where extra coverage might be necessary. We want your wedding day to be filled with memories of that perfect day rather than nightmares of things gone wrong. Give us a call if you have a wedding in your future!